For anyone that's been to Zagreb's annual Animafest, it's clear that animated film is a cherished part of Croatian culture. This is nothing new: in 1962, the pioneer of Yugoslavian / Croatian animation, Dušan Vukotić, became the first non-American to win an Oscar for an animated film. At the time, Disney still had a monopoly on animation, and it was radical filmmakers from now-Croatia, among other countries, that helped it become the endlessly imaginative art form it is today. Contemporary Croatian animation continues that tradition of progressive, genre-defying filmmaking. With studios Bonobo and Adriatic Animation producing incredible stop-motion and multimedia work, Croatian animation is gaining a reputation for its distinctive, often surreal style and impeccable production. With homegrown talent scooping up awards at festivals worldwide, it seems Croatia is keeping its place at the forefront of animated film. Here are some names to look out for. Dješka's short film Ghost Town was lauded at 2016 festivals in Croatia, Turkey and Georgia. Set in an abandoned, war-scarred city, it follows the sole remaining citizen battle his loneliness. Dješka is currently artist in residence in Denmark, and he continues to work in both animation and comic books. After graduating from Zagreb's Academy of Fine Arts in 2003, Veljko Popovic started making waves in 2008 when his surreal short film She Who Measures won awards at festivals worldwide. With its Lunar landscapes and zombie-like cast of figures, it marked a move towards a bleaker aesthetic in Croatian animation. Popovic went on to found Lemonade3d, a 3d computer graphics studio with international filmmaking clients. Illustrator and animator Zdenko Bašić has worked on British productions of children's films, such as Pinnochio and Alice in Wonderland. Much of his own work is inspired by Croatian folklore and the American Gothic, making for a distinctive, haunting stlye. Mataić's big break came earlier in 2016, when he beat 521 entries to win the award for best short film at the Tokyo Anime Festival. The winning film, Off Belay, tells the story of two climbers embarking on a transformative adventure, and it's typical of Mataić's Japanese-influenced style. He's now working as a 3D animator at Barcelona animation house Tinker Magic Studio. As one of the co-founders of Adriatic Animation, Estonian filmmaker Chintis Lundgren is fast making her name in Croatia. Her last accolade came at Zagreb's animafest 2015, where her endearing short film Life with Herman H. Rott won the Best Croatian Film Award. One of Bonobo studio's most promising talents, Ivana Bošnjak teamed up with British animator Thomas Johnson to create Simulcra in 2014. 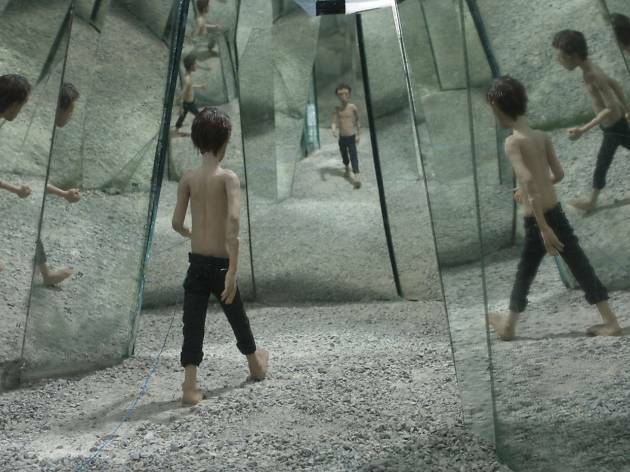 The stop-motion animation follows a man led to question his reality when he gets trapped in a house of illusions. Thanks to its eerie atmosphere and detailed puppet designed, it scooped up 9 awards at international festivals. As part of animation powerhouse Bonobo studio, Eva Cvijanovic makes stop-motion and 2D animations often based on Croatia's history and culture. Her hotly-anicipated upcoming film Hedgehog's Home is an intricate stop-motion retelling of a classic Croatian children's story - see behind-the-scenes pictures here. Slovenian-born Špela Čadež's magical puppet films earned her an international following while she was still a student. Now, she's setting her sights on Toronto film festival, where her film Nighthawk will be screened. Produced with Croatia's Bonobo studio, it's an irreverant tale of the adventures of a drunken badger, and it's already been picked up by 14 international festivals. Known for his genre-bending style, Barić is Croatia's most experimental contemporary animator. Using Dada-ist found objects, he creates surreal, psychedelic worlds, often with aspects of sci-fi and horror. 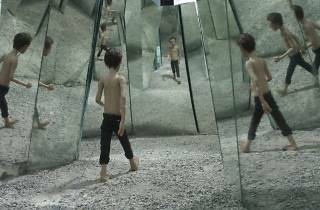 Explore his Vimeo page to see his latest projects. One of Croatia's most prolific animators, Ivana Guljašević Kuman has made 21 short films since 2000, as well as working as art designer on the popular series Danica and Friends, and co-writing the childrens' TV show Igubuka's stories. Her bright, whimsical films are made for children, but their craftsmanship has been rewarded with prizes at festivals in Portugal, Italy and Chicago.